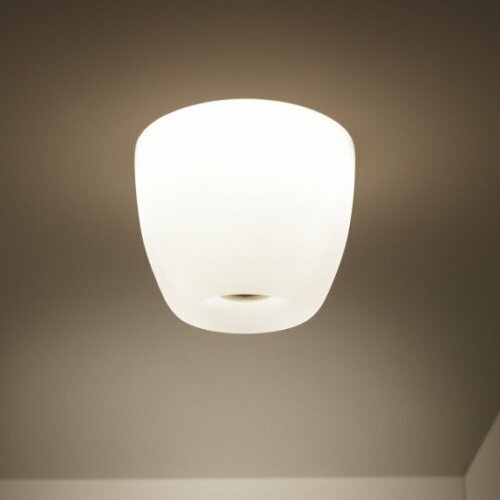 The Mara 22 ceiling light by Casablanca has a 22cm by measuring light screen, which provides in its size for a very soft and pleasant light. Directly flush with the ceiling, the lamp body is broken only by the deep lying fastening and are the curved geometry of the Mara a charming center. Casablanca offers the Mara 22 with a smaller diameter.